When well manicured and maintained, English ivy makes for a beautiful green bed of foliage in the shady areas under trees. Left unchecked, however, English ivy can also be invasive, and damaging to the surrounding trees. Although the ivy itself does not kill a tree, it is the activities from growing and spreading that can be destructive to the tree. As the vine climbs a tree, it begins to compete with the host for nutrients, water and sun light. This can weaken a tree and make it vulnerable to disease and branch dieback. The ivy also retains dampness around the bark, attracting pests and increasing the chances of rot. 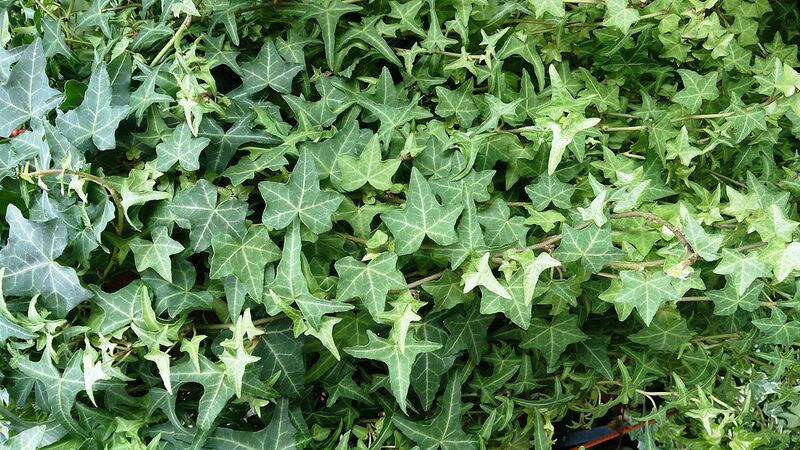 Killing ivy with chemicals can present all sorts of problems in the landscape. The best way of getting rid of English ivy is to cut it and remove it from the trees. As this video shows, the process is straightforward, but physically demanding, especially if you have a lot of trees to clean up. Need Help Getting Rid of English Ivy? If your property is overgrown with ivy, give Atlanta Tree Professionals a call. We have the manpower and equipment to tackle English ivy and other vines. We are your local experts for residential and commercial tree service in Sandy Springs and north metro Atlanta. I want to get rid of the English ivy in my trees. I live in Dallas, GA. Do you service this area? I have several areas where my English Ivy has gotten out of control. I live in Alpharetta/Milton. Can you come and give me a quote?